Galway's John Hanbury and Richie Leahy of Kilkennny. 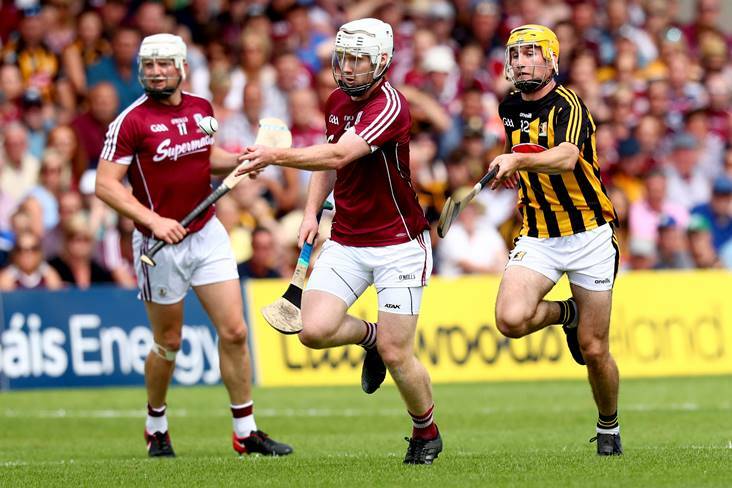 Galway defender John Hanbury is thought to be a doubt for Sunday's All-Ireland SHC final showdown against Limerick. The Irish Independent reports today that the Rahoon-Newcastle defender is receiving treatment for an ankle injury which he picked up during the Tribesmen's semi-final replay victory over Clare. While the official reports have been largely positive over the corner-back, there are said to be concerns within the All-Ireland champions' camp over whether or not he'll be 100 per cent for this weekend. Should Hanbury be unable to start at Croke Park then 20-year-old Sean Loftus, who replaced him against the Banner men, is expected to get the nod from manager Micheál Donoghue.